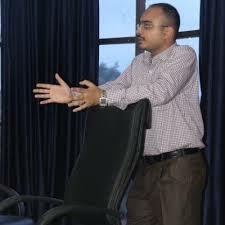 Afghanistan and Pakistan lie in central and southern Asia, a region defined by rugged mountains and valleys. 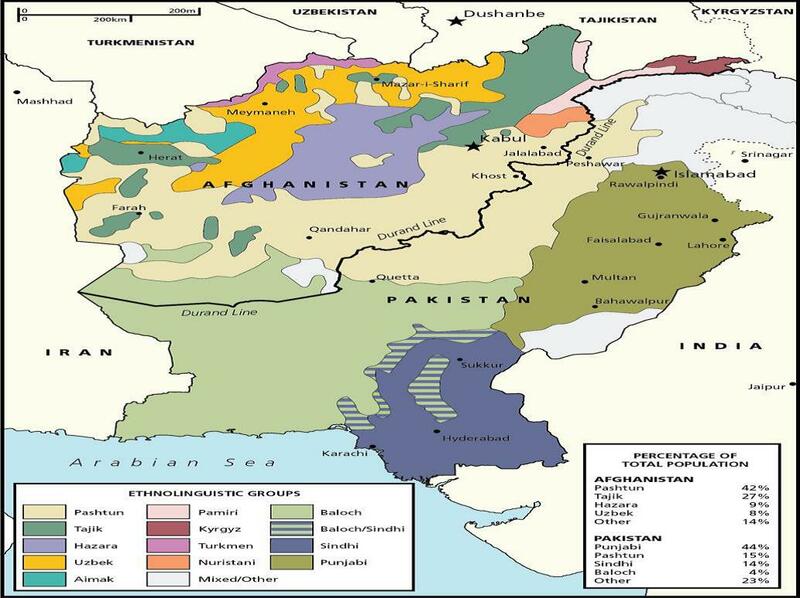 For centuries, the area has been a point of contention for the major powers of each age.As a result of these great power struggles, as well as internal rivalries, the people of Afghanistan and Pakistan have frequently encountered difficulties exercising full sovereignty over their territory. Despite the rise and fall of various dynasties on the border, Afghanistan and Pakistan still today face enormous difficulties securing peace and harmony across the regions. Not long ago Foreign Policy and the Fund for Peace recently ranked Afghanistan 7th and Pakistan 13th in their annual list of “failed states” – 1; the growing violence in Afghanistan and Pakistan today has created havoc for security and peacekeeping officials at the United Nations, the Obama Administration, North Atlantic Treaty Organiastion (NATO) and governments of neighbouring countries. Since NATO and the International Security Assistance Force (ISAF) has ended combat operations, Afghan, American, along with many defence experts continue to question the peacekeeping mechanisms and express concerns regarding the early withdrawal of the ISAF in an unstable nation. Afghanistan has not experienced peace in the last 40 years. Although various regions have been peaceful during the time when other regions were experiencing conflict throughout a seemingly endless period of war, no region has experienced peace fully. According to the UNHCR, violence increased phenomenally in 2014, at a record high since the UN Assistance Mission in Afghanistan (UNAMA) began conducting casualty counts in 2008. Also, the official withdrawal date in 2014 has already passed, the sole responsibility of security now depending upon the Afghan National Army (ANA) and associated security groups, thus it is absolutely necessary to examine the preparedness and capability of these security forces, especially when 70% of the security attacks are conducted against Afghan forces and security personnel. The highly volatile security situation and political instability, followed by the controversies surrounding foreign military and peacekeeping tactics, present a grave challenge to the Security Council which must be resolved before Afghan and the international community can enjoy peace and sustainable development. The state of affairs we today see in Afghanistan is a direct result of numerous unfortunate series of events by globalisation. The internal relations between the parties is quite intense and complex, different factions worldwide followed by the nation’s history of dominance and influence. It is quite impossible for the policy makers to resolve the conflict in Afghanistan without crossing the county’s history. 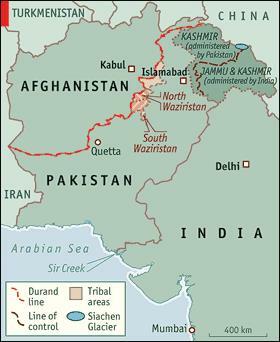 Afghanistan sits in the border of the “Old World”, a series of trade routes. Thus, Afghanistan has not been able to quite distance itself from its neighbours and gain sovereignty to create a future of its own. In addition to the coalition of the western forces, ISAF includes a small contribution of forces from Jordan, United Arab Emirates and a significant unit from Turkey. Turkey’s troop contribution may not be as comparable to other nations but the country’s long standing relationship with NATO forces, and being the only Muslim country supporting the ISAF missions, declaring it “successful”. At first, ISAF was responsible for maintaining peace and security within Kabul and surrounding areas, they were also tasked to coordinate with allied war chiefs in combating Taliban forces elsewhere. Local warlords are quite focused on the completion of their own agendas, especially to become the President of Afghanistan or to gain more wealth. Whenever American troops seek assistance from the tribal forces, many tribal leaders turn their back because of globally criticised drone attacks. It is also important to understand that ISAF’s biggest challenge is the internal fragility; the war in Afghanistan is quite unpopular, especially among ISAF nations, because of globally criticised scandals and “western oppression.” On August 1, 2010, the Netherlands became the first ISAF nation to withdraw its contingent from Afghanistan but later became very clear that for nations, Afghanistan was a “controversial” pit, especially for those nations which were tasked to conduct elections; Canada removed its combat forces in 2011 and in 2012 French troops would leave Afghanistan. ISAF’s stability is threatened mostly because of issues in command and control and disputes arising from strategic doctrine; in June 2010, President Obama relieved General Stanley McChrystal from his command in Afghanistan after he criticised Obama Administration and NATO allies during an interview to Rolling Stone. The primary concern for the ISAF is the growing violence in Afghanistan, especially when violence takes the lives of soldiers, civilian personnel and humanitarian aid workers. The months of July and August were deadliest for US military operatives in 2010, as ISAF nations experienced high rates of military casualties. Developing a stable Afghanistan will require a strong political will and leadership, which today is a rare commodity. The hopes of this great nation once rested on Hamid Karzai, the President of Afghanistan from December 2001. Before winning the presidential elections, Karzai was a huge supporter of the Taliban for the same reason as was once the entire population of Afghanistan – they seemed to be the only solution to the then growing corruption and violence. In later years, Karzai threw the Taliban out of Afghanistan, cornering them in borders alongside Pakistan. Then the furious battle for Afghanistan began, with American troops occupied in Operation Enduring Freedom in 2001, the Taliban gaining strength and retaliating heavily, further resulting in mass civilian casualties which still continues to take lives even today. President Karzai again came into power in 2009 which also brought him under the radar by the Western World. His elections were hit by serious allegations of vote fraud, intimidation, and massive corruption. Right after his victory, Karzai faced a series of allegations of corruption, including the involvement in the heroin trade across Afghanistan. As acquisitions against Karzai gained more attention, cooperation between Afghanistan and ISAF precariously began. Relations between Obama and President Karzai were very stressful, especially when American policy makers were frustrated with the poor efforts of their partners in tackling corruption, developing an effective military and combating the cultivation and trafficking of heroin and Afghan anger over the ISAF bombing and raids killing Afghan civilians. During the months of August and November 2010, Karzai issued many norms with respect to the banking system in Afghanistan especially personal transaction to the biggest and notorious Kabul Bank. Also, the recent 2014 presidential elections received serious allegations of corruption, voter intimidation and fraud and was only finally resolved when the when the top two in polls agreed to share their power before the actual voting. Afghanistan’s cursed geostrategic position, followed by ethnic and chronic religious diversities, created new opportunities for the neighbours to interfere in, none of whom showing any interest in the region beside maintaining a religious influence. 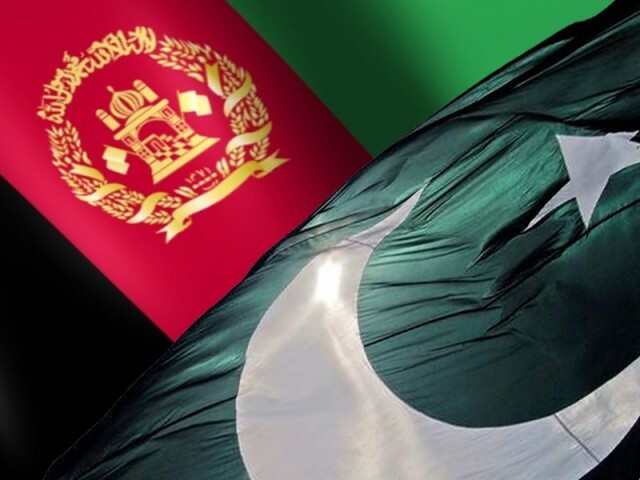 Pakistan’s interests have always been lessening the friendship between India and Afghanistan, and severing Afghanistan’s relationship with Iran; these are possible only after longstanding relationships with the Pashtun communities in the Eastern and Western province. Over the years the Afghan president lessened his “hatred” towards Pakistan over “tolerating sanctuaries within its borders for Taliban insurgents,” and Afghan-Pakistan relations have been improved lately, that too at India’s expense. Although it is also important to understand that any improvement in the Afghan-Pakistan relationship would result in serious security and diplomatic issues for Iran. In the past Tehran’s policies have limited effects over Russia and Pakistan as well as potentially hostile Arab and/or Sunni states throughout the Middle East and Central and South Asia. Not long ago, Russian President Medvedev hosted a conference inviting the leaders of Afghanistan, Pakistan and Tajikistan to address the growing issues from “fighting terrorism and drugs spreading from Afghanistan.” China on the other hand continues to maintain great interests in Afghanistan and continues to maintain checks on India’s growing influence in the region. In addition to the political and security measures, the US government have recently identified enormous deposits of valuable metals and industrial resources with a current estimated value of nearly $1 trillion USD. While numerous mining companies are already lobbying for access in the region, “the problem is companies remain hesitant about investing in the country while the current security issues remain unresolved.” Ensuring that the region remains sustainable and no forced extraction takes place in the presence of international security agencies, along with lives of thousands of workers drilling in the mines, a new version of the “Great Game” is underway, bringing new challenges for NATO and the international community. It is quite a fact that success in Afghanistan hinges on the thorny resolutions of security, political will and economic stability, however NATO’s tactics will determine the amount of time NATO has to strengthen Afghan forces, counter extremism and maintain peace and harmony in the country which has seen neither in the last 40 years. It is also important to understand that NATO’s leadership and Washington policymakers don’t get along very easily, especially on Afghanistan. In the first eight years of the war (2001-2009), the high altitude bombing missions to eliminate the Taliban’s aggression didn’t receive major support from the NATO officials. The bombing campaigns undoubtedly killed large numbers of the Taliban and, to a lesser degree Al-Qaeda, militants shifting their operating base to the Pakistan borders, thus presenting a more problematic series of targets. Looking at Afghanistan’s perspective, the high altitude bombing, followed by inadequate intelligence, led to hundreds of civilian deaths. Even as the major combat operations for ISAF have officially ended, the controversies over the extensive use of unmanned aerial vehicles (UAVs), commonly known as drones, continue. In November 2013, American military leaders apologised to then Afghan President Karzai for civilian casualties stemming from a drone attack, while simultaneously, Pakistani citizens and politicians denounced the US Central Intelligence Agency (CIA) for conducting further drone strikes in Pakistani territory. In December 2014, drone strikes killed 6 suspected militants in north-western Pakistan, possibly as a compliment to Pakistani security operations aimed at punishing various militant factions, particularly Pakistani Taliban, in the wake of the horrific December 2014 school attack that killed over 130 students. Today, in Afghanistan and Pakistan, all issues are interrelated to each other, except that the solution seems to be a bit isolated. It is imperative that nations come together on one single platform and work together to find a comprehensive solution to the issue prioritising everything that the nation has to offer; integrity and sovereignty. Failures to bring out productive solutions will, without a doubt, result in the failure of the entire effort, and at such a delicate time, of a long conflict which initially began in 2001 taking the people back to the ages.